Fujisawa Rin Increases Lead In Women’s Honinbo: The sixteen-year-old Fujisawa Rina has made an excellent start in the 33rd Women’s Honinbo title match, beating Mukai Chiaki, the titleholder, in the first two games. 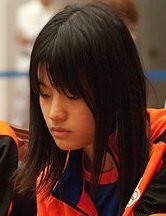 If Fujisawa wins one more game, she will become the youngest player to hold this title. The first game was played in Hanamaki Hot Spring on October 8, with Fujisawa drawing black. Mukai Chiaki, the defending champion, took the lead, but Fujisawa played a series of do-or-die moves, one of which eventually paid off. Mukai resigned after 227 moves. 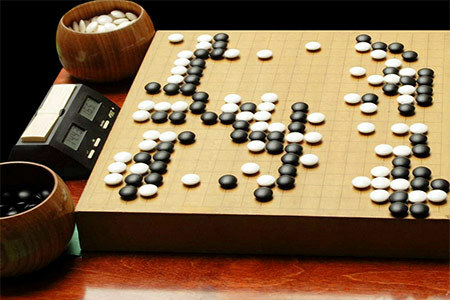 The second game was played at the Ichigaya headquarters of the Nihon Ki-in in Tokyo on October 17. Fujisawa won by 2.5 points. The third game will be played on November 7. Iyama Wins Third Agon Kiriyama Cup: The final of the 21st Agon Kiriyama Cup was held at the Kyoto headquarters of the Agon Buddhist sect (Kiriyama is the name of the head priest) on October 18. It’s surprising how often two players engaged in a big title match run into each other in other titles. The final featured a clash between the players vying for the Meijin title. Iyama Yuta drew black and beat Kono Rin by 1.5 points after 309 moves. This is Iyama’s third win in a row against Kono and it secured him his third victory in this tournament. Two Landmarks For So Yokoku: Recently there have been two landmarks for So Yokoku, one professional, one personal. On October 13, he scored his 200th win as an 8-dan, so he won promotion to 9-dan. 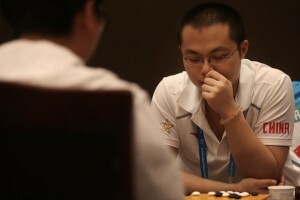 (He beat Cho Sonjin 9P in the first round of the 53rd Judan tournament.) The promotion dates from the following day (when it was confirmed by the Nihon Ki-in tournament office). Very soon after this, So got married. The source of this information is Takao Shinji’s blog on the Nihon Ki-in home page. Takao gives no details, but his blog entry was dated October 17, so presumably So was married on the 14th, 15th or 16th, so the two landmarks could well have come on the same day. Other Promotions: To 7-dan: Miyazaki Ryutaro (120 wins); To 3-dan: Murakami Akihide (40 wins). Miura Hiroshi, a top amateur player, died of a cardiac infarction on September 29. He was 68. Miura won nine amateur titles and held the title of Honorary Amateur Honinbo. He took third place in the World Amateur Go Championship in 1988. He was one of the four professional-level amateurs who dominated amateur go in Japan from the 1960s to ‘80s.